This audio course has helped thousands of women heal their physical, emotional and psychological wounds through therapeutic Sacred Spot massage. Now you can open your ability to have fast, powerful and extended orgasms. 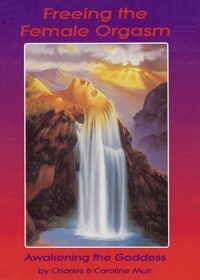 This audio course, which includes 3 CDs and a 72-page illustrated booklet, has helped thousands of women heal their physical, emotional and psychological wounds through therapeutic Sacred Spot massage. Now you can open your ability to have fast, powerful and extended orgasms. Not only that, you can be rejuvenated and awaken consciousness with these ancient magical Tantric yoga practices. This audio course will provide you with information and techniques so that couples can work as a team, clearing blocked and disorganized energy, thus opening the female to a new source of creative energy, fast, effortless orgasms and new levels of personal power and ecstatic pleasure.